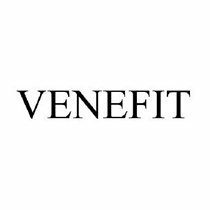 Venefit (formerly VNUS Closure), the treatment that started the endovenous revolution for keyhole varicose vein surgery in 1998, has recently announced the development of a new shorter 3 cm catheter. The original VNUS Closure catheter was a “bipolar” radiofrequency catheter – which meant it had a pair of electrodes that passed electrical current between them at radiofrequency rates, to treat the vein wall. In 2005, VNUS launched the VNUS ClosureFAST catheter, to speed up the treatment of the Great Saphenous and Small Saphenous truncal Veins (GSV and SSV). Although still billed as “radiofrequency ablation“, the radiofrequency merely heated a 7 cm tip to 120°C. When the catheter was in the vein itself, this heat held for the right amount of time ablated the vein wall, causing the vein to close perfectly. Many studies have shown the efficacy of this technique and the patient satisfaction with a minimally invasive approach and low post-operative discomfort. One of the criticisms of this 7cm VNUS Closure FAST catheter was that with such a long treatment tip, it was not possible to treat more complex veins which might only have sections of 6 cm or less that need treatment. To counter this, Venefit (formerly VNUS) have now added a 3 cm catheter to their range, to allow surgeons to treat smaller sections of veins if they require, but keeping the same advantages of the VNUS Closure FAST technique.